If you are a student struggling to write a compare and contrast essay, refer to this free compare and contrast essay sample to get more comfortable with the format. When you choose to attend college, you must decide whether you plan to go to a private school, or whether you want to attend a public one. The truth is, there are benefits to both options. In order to choose the one that’s right for you, it’s important to weigh certain factors. By taking into account both your goals and your personal taste, it will be easy for you to determine which type of school is right for you. Although private schools typically cost more money than public schools, some students may believe that the high-quality education such institutions offer is worth the cost. That money allows the campus to provide students with resources that may not be available at a public college. In general, private schools also tend to have fewer students in each class. This gives students more opportunities to consult with their professors, opportunities they might not have if they attend a public college with more students in each class. Demographically, private colleges tend to attract students from throughout the nation (and even the world), while public schools are more popular among in-state students. Public colleges offer students many financial incentives to attend if they reside within the state where the school is located. Because private schools offer no such incentives, the people who choose to attend them often do so because they believe that school is the best place for them to receive strong education. Thus, attending a private college allows students to meet people from all walks of life, instead of people from the same part of the country they are from. Private colleges have justified their high costs by advertising not only their campus resources and facilities but also the fact that a degree of a prestigious university tends to be more attractive to a potential employer than a degree of a public college. However, many experts now agree that this claim no longer holds true. In the past, an employer may have been impressed that you attended a major private school, but that trend has shifted in recent years. As such, public colleges have become much more appealing to students and their families. Again, they tend to cost substantially less than private colleges, and thanks to widespread internet access, the additional resources available at private schools may not make that much of a difference on the quality of the education. Public colleges are also more likely to offer a wide range of academic programs. Although it’s true that there are usually more students in a classroom at a public college. If you’re not entirely sure what subject you’d like to major in yet, it pays to attend a university where you have access to numerous options. 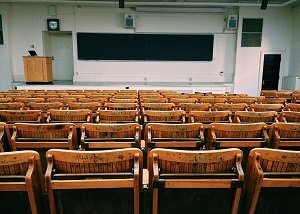 Due to the larger classroom size, some students even find that public colleges boast a more energetic and dynamic environment than private colleges. On top of that, although this isn’t a general rule that can be applied to all colleges, public schools often have more lax acceptance standards than private universities. Some people struggle academically during their youth and don’t have the grades needed to get into a private college. If you’re not certain you’d be accepted into a private school, you may be better off focusing on public colleges during the application process. There is no consensus about whether public colleges are superior to private colleges, or whether it’s the other way around. To make the best decision for yourself, it’s important to keep certain factors in mind. Weigh your options, be honest about what you’re expecting from your education, and you’ll realize which route you want to pursue.